Mac Barnett (www.macbarnett.com) is the author of several picture books, including Oh No! Or How My Science Project Destroyed the World and Billy Twitters and His Blue Whale Problem. He also writes the Brixton Brothers series of mysteries. Although he often neglects to shave, he has never worn a mustache. Kevin Cornell (www.bearskinrug.co.uk/) spends his days manicuring a magnificent beard, pausing only occasionally to illustrate from his Philadelphia home. 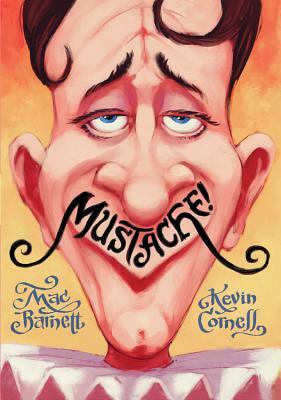 Both he and his mustache have illustrated several books, including The Curious Case Of Benjamin Button: A Graphic Novel and The Trouble With Chickens. You can visit him online at www.kevskinrug.com.